Capt. 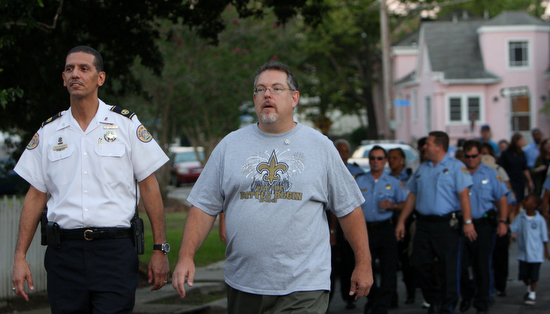 Darryl Albert and Marlyville - Fontainebleau resident Tim Garrett walk down Walmsley Avenue with officers and residents at the Second District Crime Walk. 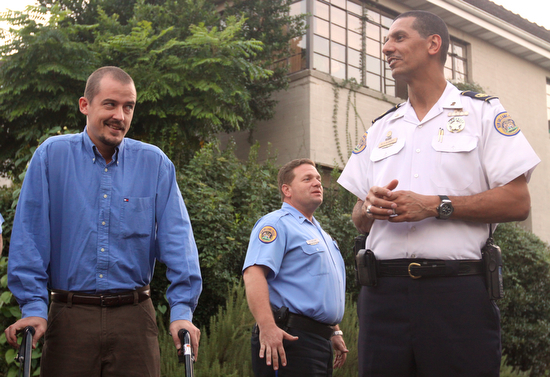 "It was a real honor to have NOPD in our neighborhood. We are normally really low-key and fly under the radar crime-wise, but lately we have had an uptick in residence burglaries and auto thefts, so I think tonight's walk helped raise consciousness," said Garrett, who designed the route. Uniformed police descended on the Fontainebleau neighborhood on Wednesday evening, but instead of handing out citations, they were passing out their phone numbers. 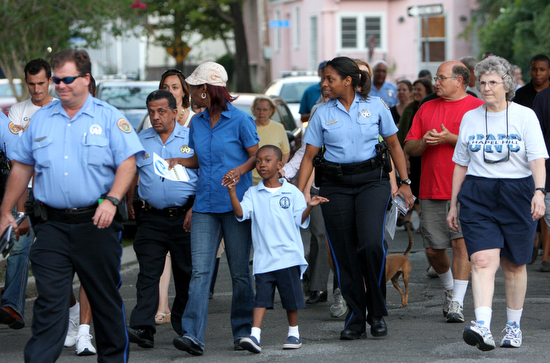 Officers from the NOPD Second District were joined by residents from around the Uptown in a march to show unity against crime. 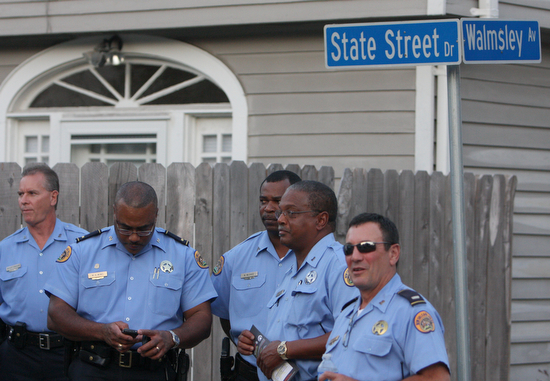 Second District NOPD officers gather at State Street Drive and Walmsley Avenue for the Second District Crime Walk Wednesday evening. Second District officers pass out Crimestoppers flyers and candy to community members while walking alongside residents. Ashley Morales and Lacandice Brock smile as the Second District Crime Walk passes them on College Court Wednesday evening. 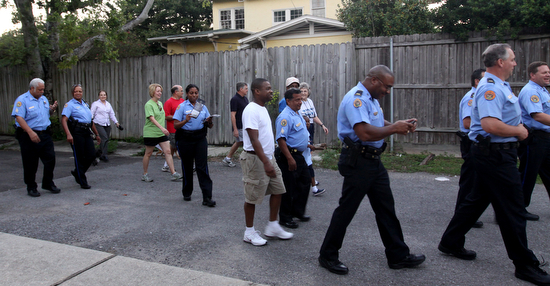 Around 45 community members and 20 police officers walked in the Second District Crime Walk. 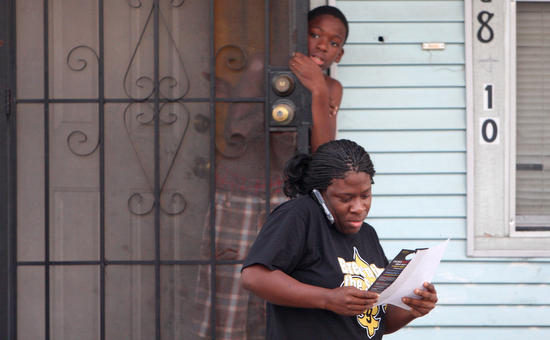 Michelle George reads a Crimestoppers flyer, while Rashaad George looks out the door and watches the Second District Crime Walk pass by his house. 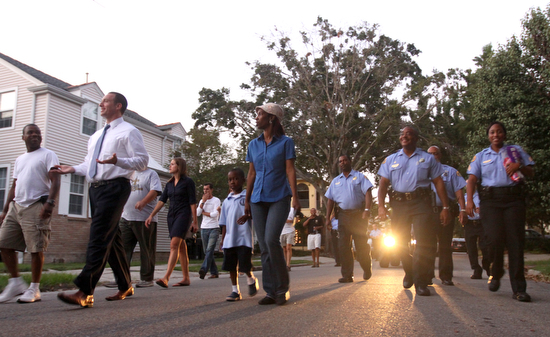 The sun begins to set as the Second District Crime Walk makes a loop back to State St. Dr. and Walmsley Ave. coming to an end.